Welcome to the poll for the orienteering achievement of the year 2006, organized by the two major sources for international orienteering news - the website World of O and the magazine Orienteering Today. The poll will be open from December 18th until January 18th. Instructions: Tick off for your favourite, and submit your vote at the bottom of the page. Please note that this poll is for the orienteering achievement of the year 2006, and not for the overall best orienteer in 2006. By age still a junior, winning gold at the WOC Sprint in Denmark. Gold medal from the Long distance in the Junior World Championships in Lithuania, JWOC silver medalist in Sprint. Tasmanian orienteer with exceptional talent. This year Allston showed the whole world that it is possible to reach for the absolute top in this sport even when you don't live and train in Scandinavia or Europe. Last year she got noticed when she achieved, as 19-year-old, a 6th place in the WOC Long distance in Japan. One year later she was back on the WOC scene and at the age of 20 she claimed WOC gold in Sprint and became the first non-European World Champion in orienteering. In addition to this, Hanny Allston also won silver and gold at the Junior World Championships in Lithuania. 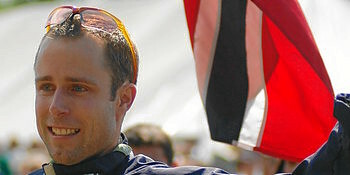 Three consecutive individual World Cup victories in France in Sprint, Long and Middle, securing him the overall World Cup 2006. 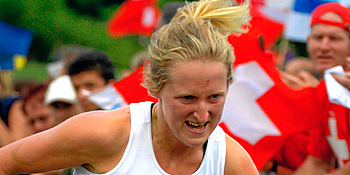 European Champion in Middle distance 2006. 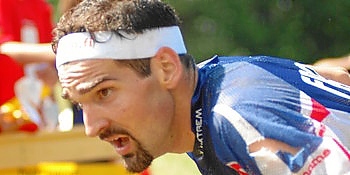 Thierry Gueorgiou has been the king of the Middle distance for several years. In 2003 he outclassed the whole World in this discipline at the World Championships in Switzerland and set new standards for orienteering in this most technical discipline. Since then, he had never lost to anyone in Middle distance at major Championships. Until this 4th August this year, when the Norwegian Holger Hott Johansen overtook the reign over the Middle distance throne. His 4th place in the middle distance at WOC 2006 in Denmark this year was certainly a huge disappointment to him, but also a great source of motivation. After Denmark, he put everything into the preparation for the World Cup final which took place on his home ground at Clermont-Ferrand in France in October. There on special and tricky lava terrain he completed a fantastic hatrick and won all the individual events and thus secured himself a premiere victory in the overall World Cup! Winning the World Champion title in Middle distance after being through deep trouble at the WOC Long distance. Fourth place in the overall World Cup. Sixth place holder from the EOC Long distance. For almost three years now Holger Hott Johansen has belonged to the very top of the men's elite orienteering. 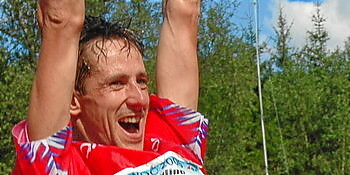 In 2004 and 2005 he won bronze in Long distance at the World Championships in Sweden and Japan. In 2004 he also dominated in the overall World Cup. 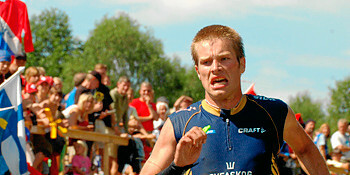 In 2005 he was a member of the golden Norwegian team in the WOC Relay in Japan. This year's World Championships in Denmark first seemed to turn out a disaster when he "died" on the course of his favourite Long distance. However, Hott Johansen didn't give up and after what could have been seen as miraculous recovery came back in the Middle distance, and with an early start set a time none of his contenders was able to improve. But a Long distance gold from World Championships is still the big dream for this 32-year-old Norwegian who lives and trains in Kristiansand. As anchor bringing Finland to gold medals in Relays both at the World Championships and European Championships. Gold medalist from the EOC Middle distance. Third place in the overall World Cup. The Finn Minna Kauppi has been great competitor since her junior years. At the moment, she seems to be the one among women who can challenge and threaten the phenomenal Simone Niggli, especially on the last leg of Relay. This year the two runner had two head-to-head fights on the last leg in Relay and both times it was this young Finn who came out as a winner. Kauppi definitely has the speed and the talent, but sometimes her orienteering is a little bit too fragile and she can make mistakes which are hard to believe. However, when all the pieces of the winning puzzle fit together, she can achieve the highest of positions; as was the case in the Middle distance at the European Championships in Estonia. Winning the Long distance both at the World and European Championships. Silver medalist in WOC Relay. Fifth in the overall World Cup. Back in 2000, Lakanen was the overall World Cup winner. For a long time he had been known as one of the World's best runners in Long distance. He won countless national champion titles in the discipline on the home ground, but until Denmark, the most precious of the medals in this discipline from the World Championships had been missing in his collection - with the silver from 2001 in Tampere being his maximum. At the age of 30, Lakanen still has a few years of competing on the elite level ahead of him. As he says, he still sees great potential for further growth as an orienteer, competing for the Vaajakosken Terä training in Jyväskäle. With WOC gold medals in Long and Middle distances 2006 completing a collection of 12 gold medals from World Championships. Overall World Cup winner 2006. Winner of all the World Cup Long distances in 2006. This 28-year-old Swiss is the most successful orienteer ever and her collection of 12 WOC gold medals is something unprecedented in this sport. For the first time she dominated the women's orienteering world in 2000 when she won the overall World Cup, an achievement she confirmed ever since. 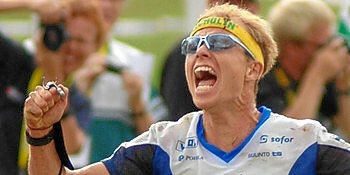 Niggli's first WOC gold came in the Long distance in Tampere in Finland in 2001. Her major achievements on the World Championship level took place in 2003 and 2005, when claimed gold medals in all the four disciplines - Sprint, Middle, Long and Relay. Her mission in Denmark this year was impressive again. With two gold medals, one silver and one bronze, she became the most successful orienteer at the Champs. Comeback of the year. After four years of struggling with injuries, Nilsson managed to get in shape and win a bronze medal at the World Championships in Denmark. Two smashing runs on second leg in Relay at European and World Championships. Silver medalist from WOC Relay in Denmark. 4th place from Sprint at the European Championships. 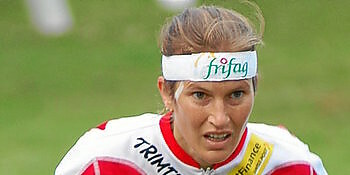 Back in 2001, Nilsson was considered one of the greatest talents and hopes in the Swedish women's orienteering. Hoever, the bronze medal from the Junior World Championships in Miskolc in Hungary was meant to be her last for a long time. Starting from 2002, she could never train for time long enough to get in her top shape. Whenever she started, soon an injury came and she was out of training and competitons again. This struggle was brought to an end this season, when she finally managed to stay away from injuries and could show what her true level was. She was nominated for the European Championships in Estonia, where she was 4th in Sprint and displayed a great run on the second leg in the Relay with which she managed to bring Sweden up to the fight for top positions. The peak of her short senior career so far came at the World Championships in Denmark, where she won two medals - bronze in Sprint and silver in Relay. At the age of 24, this Swede who lives and trains in Halden in Norway still has a lot ahead of her. As anchor bringing Russia to a historic World Championship gold in the Relay. Novikov's run on the last leg was one of the highlights of the 2006 World Championships. Bronze medallist from Middle distance at the European Championships. 5th place holder from the WOC Middle distance. 3rd in the overall World Cup standings. Valentin Novikov is Russia's most experienced and one of the best orienteers. In 2004 he was Russia's most successful orienteer in the World Championships, after he claimed silver in Middle distance and helped the country to another silver in Relay with solid run on the last leg. Last year, however, he missed the World Championships for reasons which are very well known. Things had calmed down over the winter and this year Novikov was back, competing for his country in major Championships. He won bronze in the Middle distance at the European Championships in Estonia. At the WOC in Denmark he competed in Long, Middle and he was also Russia's anchor in Relay. If in the Long and Middle luck wasn't particularly playing into his cards, in Relay he displayed a really out-of-this-world performance and with the best time on the last leg brought Russia to the premiere Relay gold medal in the history of the sport. He crowned his successful season with his best achievement in the overall World Cup, when he finished as third best in the overall standings of the series. Winning gold medals in Sprint at WOC and EOC at the World and European Championships. The gold in the World Championships was the fifth straight championship Sprint gold for this Swede. Bronze medalist in WOC Relay. Sixth in the overall World Cup. 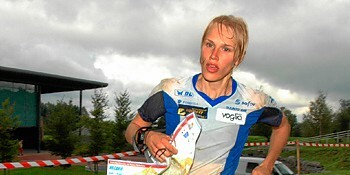 The best Swedish orienteer of the recent past. The first time he won a major international event was at the European Championships in Hungary in 2002, where he dominated in the Sprint. Since then he has been always near the top in big international Championships. In 2004 he defended his European Champion title in Sprint and in 2005 in Japan he won his premiere World Championships gold in the discipline. This year, in 2006 the 31-year-old Swede living in Halden struggled with health problems, but managed to get in shape for both the European and World Championships, in which he claimed two more gold medals in Sprint. The gold medal from the Sprint in Mindenparken at the World Championships was his 5th straight Championships gold medal in the discipline. This poll is closed! Please note that this poll is for the orienteering achievement of the year 2006, and not for the overall best orienteer in 2006.